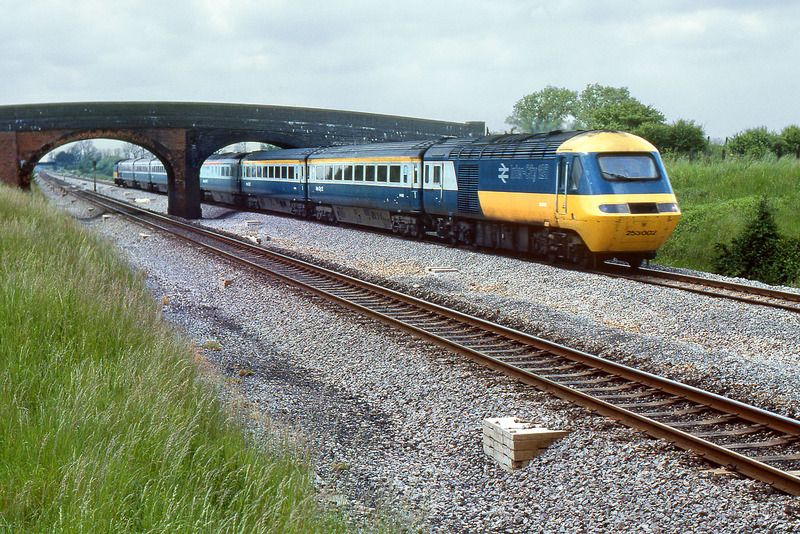 43005 passes underneath Denchworth road bridge on 23 June 1979 with the 1A49 11:45 Swansea to Paddington InterCity service. This brick bridge was replaced in the 1990s by a single span structure, with blue engineers brick parapet, and is almost as aesthetically pleasing as this Victorian original. Note how the lineside in the foreground appears to resemble a lush meadow, with plenty of long grass. This is in marked contrast to the overgrown mass of brambles, weeds and assorted bushes that prevails now, since Network Rail stopped maintaining the trackside.